2010-1A,B (7-0): One; A: Quicksand Pond, Little Compton; 23-Jan-2010; Geoff Dennis (I,R,P). B: Easton’s Pond, Newport; 26-27-Jan-2010; Matt Grimes (I), Bob Weaver (P), Rey Larsen (P). Geoff Dennis found this adult IVORY GULL at Quicksand Pond in Little Compton late in the afternoon near sunset. The gull spent much of its time on the Massachusetts side of the pond, but moved to the Rhode Island side to feed on a dead duck. Geoff was able to take photographs in the fading light. At sunset, the Ivory Gull flew off to roost with the local gulls, all flying to the southwest and out of viewing distance. What was probably the same bird was found on Easton’s Pond three days later by Matt Grimes. The next day several birders observed the bird as it fed on a gull carcass. 2010-2 (7-0): Two; Block Island; 2-Apr-2010; Kim Gaffett (I,R,P). These 2 Sandhill Cranes were seen on the northeast side of the island, just south of the Clay Head Trail and Clay Head Swamp. These birds were seen by several islanders, but at about 4 pm, they were startled off by Canada Geese and flew west. Kim Gaffett provided the report and photographs of these birds. 2010-3 (7-0): One; Succotash Marsh, South Kingstown; 7-Apr-2010; Bob Weaver (I,R,P). After scanning for shorebirds near the DEM building at Succotash Marsh, Robert Weaver looked up just in time to see this Swallow-tailed Kite flying towards him overhead. He was quickly able to get photographs of the bird as it continued flying in a northerly direction. 2010-4 (6-0): One; Little Compton; 11-May-2010; Kirsten Fletcher (R,P). This bird was found at the base of a chain-linked fence on Old Stone Church Road in Little Compton. It was brought in to Kirsten Fletcher for rehabilitation. Probable causes of the injury were either a strike to the fence or a possible hit by a car. Kirsten photographed the bird while it was in her care. 2010-5 (7-0): One; Pawcatuck River, Westerly; 16-Jun-2010; Kate Pisano (I,P), David Prescott (R). While testing water quality for Save The Bay, Kate Pisano and others found this bird at about 8:30 AM. The bird was on a rock on the Westerly side of the Pawcatuck River adjacent to the northern side of the River Bend Cemetery. 2010-13 (7-0): One; Kent County; 2009 and 2010; Homeowner (R,P). A homeowner in Kent County observed two Mississippi Kites in his neighborhood and yard in both the summer of 2009 and 2010. In 2010 he reported seeing young in his yard, and he then photographed one adult. Curious as to the identity of the bird, his questions eventually reached the Audubon Society of Rhode Island. The report was investigated by ASRI, but the homeowner requested that the location of the sighting remain private. The homeowner reported that he was afraid that an influx of birders might be somewhat disruptive to the pair if they return. He also was worried that an influx of birders roaming the streets with binoculars might make his neighbors upset. 2010-6 (7-0): One; Trustom Pond, South Kingstown; 24-Jul-2010; Bob Dewire (I,R,P), [Alan Brush, Cam Bertsche, Ruth Waller, Sylvia Fournier] (I). 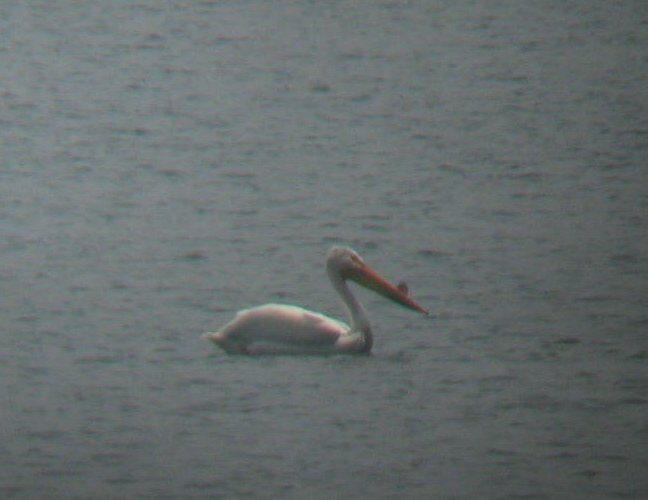 Bob Dewire with others reported viewing this bird from Osprey Point at Trustom Pond NWR at around 11:30 AM. After about 15 minutes the bird took off flying northwest and flew out of sight beyond the tree line. 2010-7 (7-0): One; Block Canyon Pelagic; 10-Sep-2010; Nick Bonomo (I,R), Paul L’Etoile (P), Frank Mantlik (P). This first state record was found by observers on a pelagic trip out to the continental shelf. It was first seen by Nick Bonomo as it sat on the water in the vicinity of Block Canyon. As the boat slowly approached, this Band-rumped Storm-Petrel took flight and flew directly away from the observers. Nick studied it in detail, while Paul L’Etoile and Frank Mantlik took photos. Nick’s written description of the bird and its flight pattern complemented the still photos taken by Paul and Frank to produce thorough documentation for this report. 2010-8 (7-0): One; Block Canyon; 10-Sep-2010; Scott Tsagarakis (I,R), Blair Nikula (I), Nick Bonomo (R), Tom Auer (R), Carlos Pedro (P). This Black-capped Petrel was found on a pelagic trip out to the Continental shelf. The boat was tracking a Long-tailed Jaeger when the jaeger was seen chasing a bird of approximately the same size. 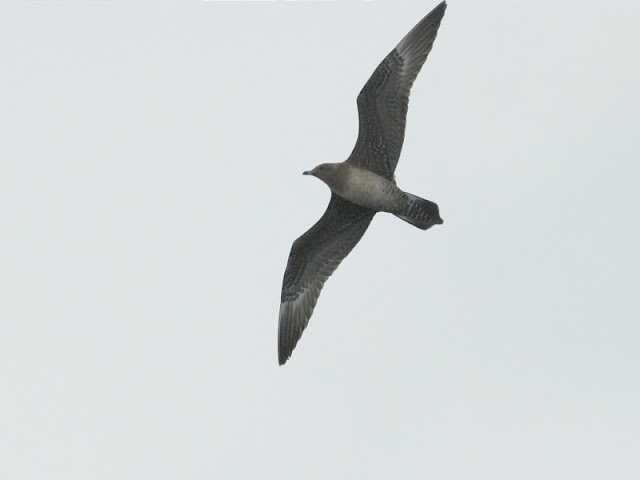 Blair Nikula and Scott Tsagarakis identified the bird being chased as a Black-capped Petrel. Scott, Nick Bonomo, and Tom Auer provided written reports, and Carlos Pedro provided a distant photo. 2010-9 (7-0): One; 10-Sep-2010; Block Canyon Pelagic; [Nick Bonomo, Scott Tsagarakis, Tom Auer] (R), Carlos Pedro (P), Paul L’Etoile (P). This Long-tailed Jaeger was found on the same pelagic trip to the continental shelf that produced the Band-rumped Storm-Petrel and Black-capped Petrel. Unlike those birds, this jaeger was cooperative and came close enough to the boat to allow for excellent photographs. As if that was not enough, as the boat followed this bird it led them to the Black-capped Petrel. 2010-10 (7-0): One; Weekapaug, Westerly; 3-Nov-2010; Dan Finizia (I,P), Sue Talbot (I). Dan Finizia and Sue Talbot observed and photographed this Western Kingbird along Weekapaug Road in Westerly. The bird was just north of the marsh north of Chapman Road. It was flycatching from the top of the only tree in the area for a short time, and then flew out of sight. 2010-12 (0-7): One; Wickford; 22-Nov-2010. This intriguing report was of a bird seen eating berries from a Winterberry Holly near a driveway in Saunderstown. The observer was not familiar with the species, but made a mental checklist of the bird’s features. It was almost two weeks before the observation was known to local birders. At that time, the written report was prepared and sent in. Due to the circumstances of the write-up and the extreme rarity of the species, this report was not accepted. It is important to note though that there is nothing in this report that rules out Phainopepla. Readers of this report should appreciate it for the candor of the observer, and the sharing of this report of what may have been an extremely rare bird. 2010-11 (7-0): Six to twelve; Black Point, Narragansett; 24-27-Nov-2010; Tom Auer (I,R), Carlos Pedro (P). Tom Auer first saw these birds while he was driving down Route 1A in Narragansett. After getting out of his car and identifying them as Cave Swallows, he continued south on 1A and saw more Cave Swallows near Black Point, Scarborough, and Aunt Carrie’s. He estimated a total of twelve birds. Over the next few days several birders reported varying numbers of Cave Swallows in the area. 2010-14 (7-0): One; N of Sachuest, 18-Dec-2010 to 31-Jan-2011; Paul L’Etoile (I,R,P), Carlos Pedro (P), Dan Finizia (P). This Green-tailed Towhee was found by Paul L’Etoile at the Second Beach Campground in Middletown during the Newport-Westport Christmas Bird Count. Paul’s group was counting chickadees in the pines when the bird came in to pishing. The bird stayed in the area at least until January 31, and was seen and photographed by many other birders during that time.